How do you choose the right dentist in Westminster Co for your family? 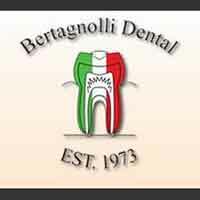 Bertagnolli Dental offers the personal attention you deserve. Our commitment to our patients includes providing information that helps them to make more informed decisions about their dental care. We have a comprehensive list of restorative, general and cosmetic dental care services for you and your family such as teeth whitening, veneers, implants, crown, general check-ups/teeth cleaning, dentures and sedation dentistry. We offer a full range of services using state of the art technology and techniques. Choosing a dentist in Westminster can be confusing. One step into our office and you will instantly feel comfortable. When you are looking for a dentist in Westminster Co you can trust, see why our patients recommend us. Call our office today to schedule your appointment. We want to welcome you into our dental family.